About a year ago, a couple of R35's ran 8 second passes within a few days of each other. The AMS car ran a best of 8.62@173 mph, and while going faster, and even pulling the front wheels off the ground just a few days ago, they haven't gone any faster. However today, at a private track rental, John Shepherd, owner of ShepTrans took his Alpha 12 Nissan GT-R and destroyed the AMS GT-R time. 0.01 quicker. 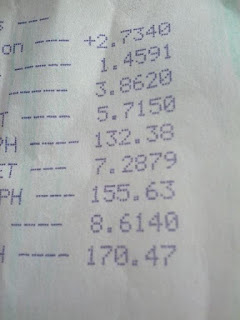 8.61@170 mph. 1.45 60 foot is ok, good enough to now make this car the quickest R35 GT-R out there. Running hardware from AMS, Switzer/Syvecs, T1 and others, he was able to put his unique combination in the 8.7's today and running nearly 170mph.